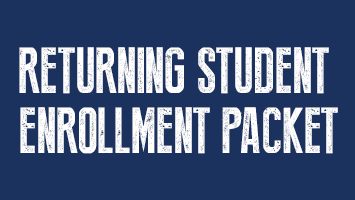 Attention continuing students, enrollment packets are coming soon in the postal mail. Please complete them and mail back as soon as you can. We will also be mailing out packets to new students sometime in the next few weeks once we have all the forms we need from the State. If you have any questions, feel free to call the office at 1-888-801-2666. Thank you! !